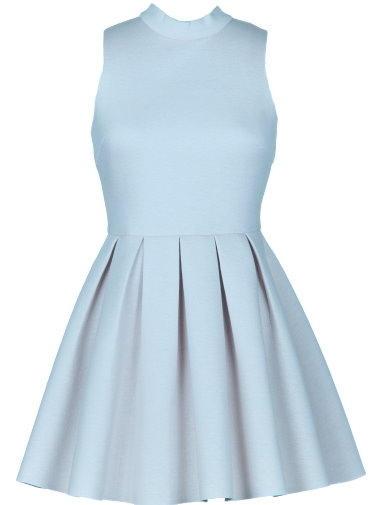 Nail the preppy look on the head with a ladylike dress designed for all your best events! Features a beautiful high neckline, figure-flattering empire waist, voluminous pleated A-line skirt, and an exposed rear-zip closure to finish. 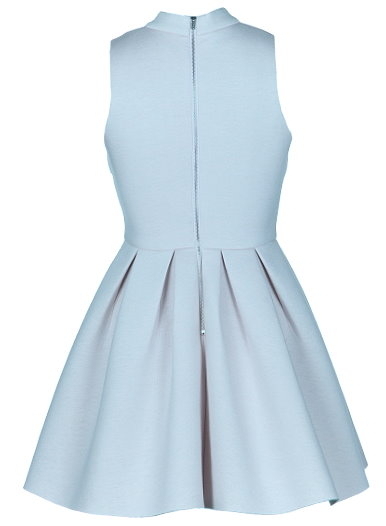 Pair with pastel pumps and a quilted clutch to complete the look! Color: Baby Blue. 100% Viscose. Hand wash recommended. Measures 30.5" from shoulder to hem. Click here to see this dress on a model!